Getting a nose job is one of the most complicated tasks for both patient and the surgeon. Certainly, Rhinoplasty can change the appearance of your nose permanently and that is why it is crucial to understand a few basics about this medical procedure. Many people think that after a nose job, the person can get a perfect nose. But it is quite disappointing that the results are not sure. Undoubtedly, this procedure will improve the nose shape, but the concept of ‘Perfect Nose’ is still on a stake. The nose job or Rhinoplasty is a an invasive method that needs many technical approaches to chisel the nose, so that it compliments your look. Due to this aspect, it will take a year to see the final results. Though, the patient may feel swollen for a few weeks, but later on it also gets disappear. Rhinosplasty also affects the way you smile. This is because your upper lip will be tightened because of the swelling after nose job. Rhinoplasty conducted by an expert surgeon. Some people can find out if some changes are there in your facial features, whereas some people cannot find it. 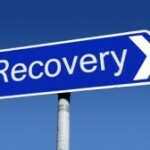 All it depends on the quality of surgery you have undergone. No matter how expert or experienced surgeon will be executing the nose job, but there are certain limitations. 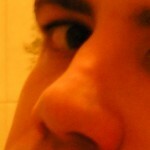 Even if you bring some clear image of the nose you want, the surgeon will still make it somehow that suits your face. A nose job is a complicated surgery. There are very less chances that you would not develop any kind of scars or marks. For that the surgeon makes use of packing, casts and splints that helps in avoiding injuries, swelling and bleeding. Moreover, it also helps in holding the new nose structure till it heals. Too much workout or physical activity should be avoided as it may prove risky for your nose. This is because it may put pressure or strain on your nose and can complicate the entire situation. We all know that glasses and sunglasses require support of the nose. So it is crucial to avoid any kind of pressure on your nose, at least for a month after a nose job. As a person develops a nasal twang, they experienced changes in the voice tone, resulting voice change. Though, this may be for some weeks or a few months, but can scatter over time. Rhinoplasty is an expensive procedure, especially if done for aesthetic reasons. However, if you have insurance cover then you may get numerous benefits. 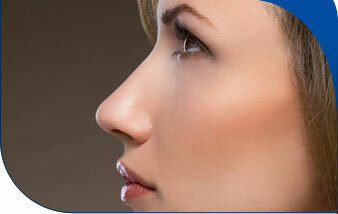 Rhinoplasty is a complicated surgery that must be conducted by an expert surgeon. Though you may not get 100% results regarding the structure you want to follow, but yes, it enhances the shape of your nose to a large extent. After a surgery for an experienced surgeon you can easily analyze the effective result of your nose jobs before and after.